Gütersloh, 1965. Waldenkranz, R., and V. Arpe, Das Buch vom Film, Berlin, 1967. Eorsi, I., in Filmkultura, (Budapest), January-February 1977. Dura, M., in Jeune Cinéma (Paris), December 1979-January 1980. Gillisen, Olivier, in Image et Son (Paris), November 1979. Trosin, A., in Iskusstvo Kino (Moscow), July 1983. ''Hungarian Cinema Section'' of Filmfaust (Frankfurt), MarchApril 1984. Filmkultura (Budapest), February and March 1985. ''Geza von Radvanyi,'' in Variety (New York), vol. 325, 3 December 1986. Cinémathèque (Perpgnan, France), December 1991. Somewhere in the remote region, the war ends. In the midst of ruined cities and houses in the streets, in rural hamlets, everywhere where people still live, are children who have lost their homes and parents. Abandoned, hungry, and in rags, defenseless and humiliated, they wander through the world. Hunger drives them. Little streams of orphans merge into a river which rushes forward and submerges everything in its path. The children do not know any feeling; they know only the world of their enemies. They fight, steal, struggle for a mouthful of food, and violence is merely a means to get it. A gang led by Cahoun finds a refuge in an abandoned castle and encounters an old composer who has voluntarily retired into solitude from a world of hatred, treason, and crime. How can they find a common ground, how can they become mutual friends? The castle becomes their hiding place but possibly it will also be their first home which they may organize and must defend. But even for this, the price will be very high. To this simple story, the journalist, writer, poet, scriptwriter, movie director, and film theoretician Béla Balâzs applied many years of experience. He and the director Géza Radvânyi created a work which opened a new postwar chapter in Hungarian film. Surprisingly, this film has not lost any of its impact over the years, especially on a profound philosophical level. That is to say, it is not merely a movie about war; it is not important in what location and in what period of time it takes place. 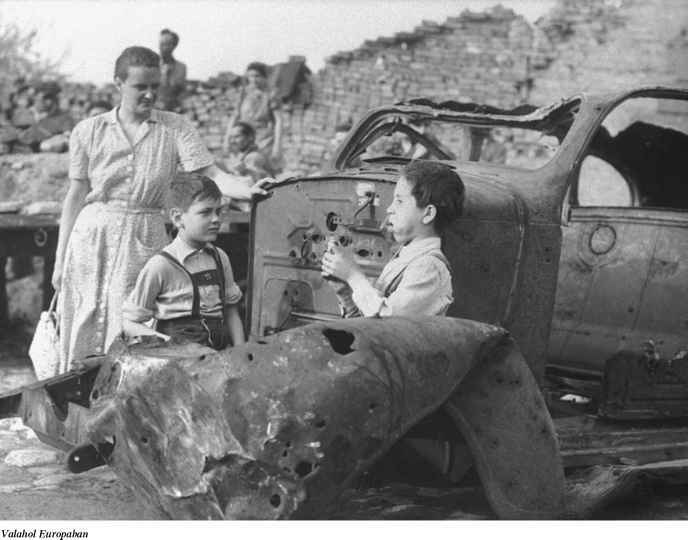 It is a story outside of time about the joyless fate of children who pay dearly for the cruel war games of adults. perilous dramatic abyss of the metamorphosis of a children's community. 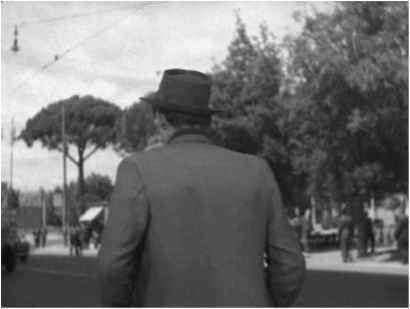 Their telling of the story (the scene of pillaging, the assault on the castle, etc) independently introduced some neorealist elements which, at that time, were being propagated in Italy by De Sica, Rossellini, and other film artists. The rebukes of contemporary critics, who called attention to ''formalism for its own sake'' have been forgotten. The masterly art of cameraman Barnabas Hegyi gives vitality to the poetic images. His angle shots of the children, his composition of scenes in the castle interior, are a living document of the times, and underline the atmosphere and the characters of the protagonists. The success of the picture was also enhanced by the musical art of composer Denes Buday who, in tense situations, inserted the theme of the Marseilaise into the movie's structure, as a motive of community unification, as an expression of friendship and the possibility of understanding. Valahol Europaban is the first significant postwar Hungarian film. It originated in a relaxed atmosphere, replete with joy and euphoria, and it includes these elements in order to demonstrate the strength of humanism, tolerance, and friendship. It represents a general condemnation of war anywhere in the world, in any form.